As a nail art fanatic, other than painting plain manicures or even doing detailed nail art, there are many accessories which we can explore in doing our nails. These include studs, rhinestones, velvet flock powder (I bet many of you know about this), caviar beads… and the list goes on. Well guess what? 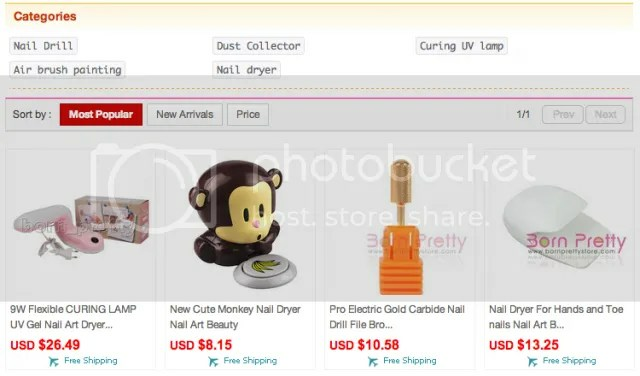 A website that sells all these items… are ZERO international shipping rate? Wait, who?! Born Pretty Store! Now, the first time I came across their website was probably due to a nail art artist recommending it on their account or blog, which I can’t remember, but I have to be grateful to her. Knowing the existence of this website is just bliss! They have recently revamped their website so it’s so much more user-friendly! 😉 Under nail art accessories alone, they have so many categories such as glitter, stickers, and rhinestones of various shapes. 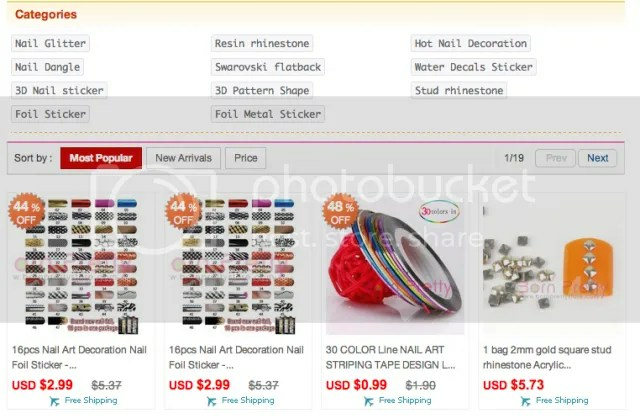 Many nail art artistes go to this site to purchase nail art supplies which includes a huge (by huge I mean a myriad of products to choose from) variety of accessories, they also sell nail art equipment. You name it, they have it! A portable dryer, UV curing light for gel nails, wow I have so much to list! And most importantly, the prices are low! And really affordable! They always have sales as and when as well, where stamping plates can all the way down to just USD 99 cents! Amazing huh? Other than nail art supplies, they have items such as stationeries, jewellery, cell phone covers. Anyway just a heads up, they recently launched their holographic polish collection! 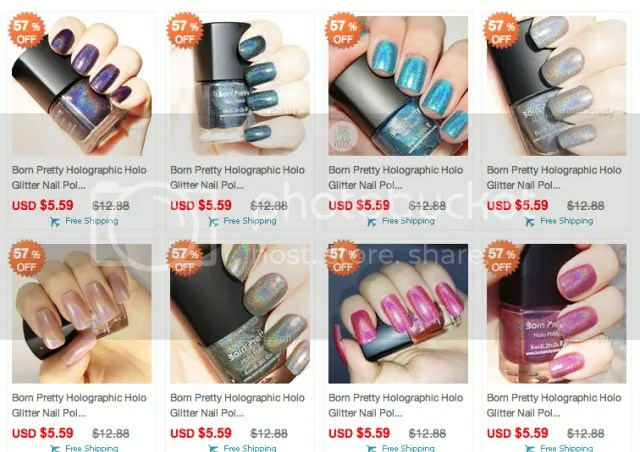 You can get them all (12 colours in total) at ONLY USD $77! Hurry up and get yours now! Here is just an introduction to the website. You should really check out the website during your free time! There is so much to explore! Just one minus point is that it takes 2 weeks to reach, which is kind of long but I can perfectly understand since it is from abroad. Only wish that we can get our products in a week. That’s all for now! If you get anything off the website, let us know by commenting or tweeting us.